Absolutely gorgeous Ale, you’ve outdone yourself. So lovely! You are too kind! By the way, I loved your new KP pancakes! I make Passover almond cake using a New York Times recipe. it is a wonderful dessert. Your recipe looks better because of the orange peel. I will switch recipes. I’m so flattered, Ronnie! I never thought someone would pick me over the NYT! Yay. I happened to glance at my new iPad and saw this post, and it cheered me up. But it also sent my glycemic index skyrocketing and I had to give myself two shots. This cake looks beautiful! I love anything with caramel! ops! Rushing to get out, I forgot to mention that in the post, and now everybody is asking: my bad!!!! I used a 9′ x 9″ pan…but that can vary slightly, although if the thickness varies you might also need to adjust the cooking time. 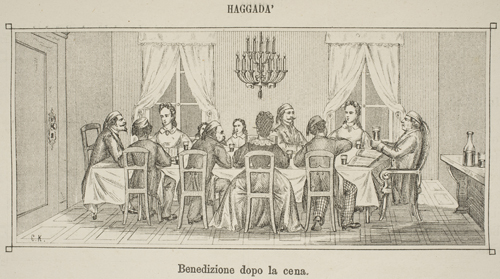 I am thinking of giving my first night seder an Italian spin (since both my boyfriend and I have some Italian background and it’s absolutely our favorite food) this year, and this sounds perfect! Any other suggestions? As a first course, you can also make crepes with eggs and potato starch and cut them into noodles, and serve them in a nice home made meat stock, or dressed with a meat sauce. if you need more ideas with specific ingredients, feel free to email me through the ‘contact’ section of my site. That’s brilliant! Thank you, I’ll definitely reach out. Ohhh, this sounds so delicious! I want to make it. Two questions: What size baking pan and how much water do you use to cook the zested orange? Since you use that water to make the caramel, I’m worried about guessing. just over 1/3 cup of the water in which you boiled the orange… and I used a 9″x9″ pan… but that can vary slightly. This looks lovely, though I have a question about the oranges. If I understand correctly, I should grate the zest of one navel orange and one lemon and add the zests to the batter. The other orange I should peel and boil? The directions say to remove the orange, dry it and set it aside, but it does not appear to be used, just to flavor the water, is this correct? Finally, sorry if I’m being stupid about this, the directions don’t say how much water to use with the sugar to make the caramel. It’s just a few tablespoons of sugar (one third of one half-cup)? So too much water will make this not very caramel-y. Thanks, I hope to try this! hi Beth, you are correct! One orange is for boiling and flavoring the water, and its zest is shredded and later added to the caramel. The other orange is only used for its zest, which is grated and added to the cake batter (that’s not to say the rest of that orange should go to waste: squeeze the juice into some prosecco and enjoy a nice “Rossini” cocktail while doing all your baking ;-). For the caramel, you need to use just a little over 1/3 cup of the water in which you boiled the orange. This looks fantastic! When you said that kisses are addictive, did you refer to the real baci, or the chocolate baci (Perugina)? hehehe Leo – I meant both. Possibly together! Isn’t that why Italian men buy chocolate Baci as a gift for their women? Beautiful! 🙁 🙁 I don’t use Matzoh Meal what can i use as a substitute? Sounds like a great pesach recipe! So fresh! You are good at Passover desserts, this is another winner. I’m allergic to oranges (although not lemons or grapefruit; go figure). I usually substitute apricot nectar for orange juice in recipes … but I’m not quite sure of what I could replace actual oranges and zest with. Any ideas? Thanks, and chag sameach! So use twice as much lemon zest, and throw a lemon in the pot instead of the orange? Hello again Anita, you can use the same amount of lemon zest as you would with orange… oh, and you can also skip the orange or lemon altogether, and just make it as a simple almond cake flavored just with a little lemon zest or almond liqueur inside, without topping with the lemon or orange “caramel”. Less elaborate, but still good, and that’s how most people make it! This cake looks gorgeous! I would love to eat this year round! veramente raffinatissimo. anch’io mi domando da dove derivi quel nome, in Italia ci sono anche dei pasticcini (non credo siano ebraici) che si chiamano baci di dama. E poi i cioccolatini “baci” della perugina. Insomma hai ragione, i pasticceri italiani sono degli inguaribili romantici. 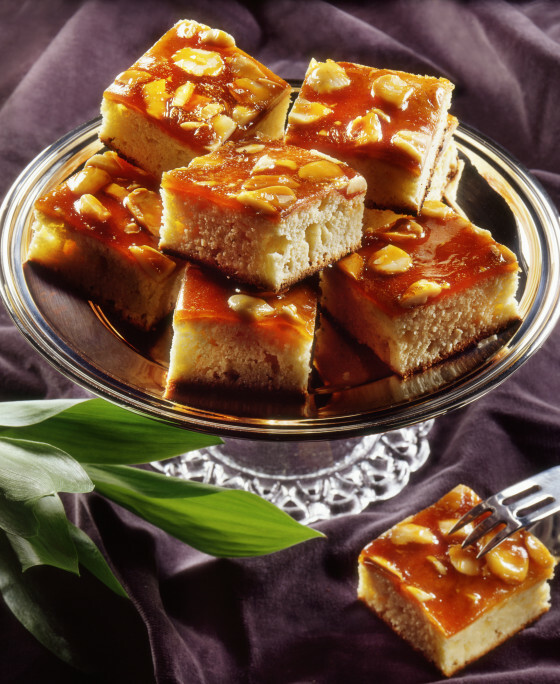 It is always a treat to find a new passover recipe for a fabulous dessert. This will go well at our mid-week extended family meal of rossl borscht (fermented beets started at Purim.) Non vedo l’ora di cuocere la torta. I had high hopes for this recipe and so did my husband when I showed him the photo, but I found the recipe confusing and my cakes came out nothing like the luscious looking cake in your photo. The egg yolk, sugar, and almond mixture was so thick I couldn’t fold the egg whites into the mixture, even after lightening the batter with just a third of the egg whites before folding in the rest. There were thick clumps of batter stuck here and there. It certainly didn’t need the matzoh meal, it was already too thick, but I had already added it. The recipe didn’t specify blanched ground almonds, so my cake didn’t look light like this one. can I make it 2 days ahead of the seder?? yes Linda, it keeps really well! yes Linda, almond-based desserts keep really well! Oh my God! I made this cake yesterday planning to serve it on Monday night – since you said it keeps well. I liked the way it’s presented in the pictures, and thinking I’d serve it sliced i thought there would be no harm in tasting a piece. WRONG! I couldn’t stop! It’s AMAZING! My boyfriend and I polished almost the whole thing off! So moist and healthy-tasting, one of the most delicious cakes I’ve ever had. THANK YOU! P.S. I didn’t make the caramel, I opted for the easier version with preserve. I was out of orange marmalade and used apricot jelly, which tasted really great. Too great, actually, now I need to make another one tomorrow. hi! the recipe i see here is different from the one i printed out last week and just made – both in the more detailed directions and in the ingredient amounts! as i made the first one with less sugar and fewer eggs, will that greatly affect how the cake tastes? I just HAD to come back and rave about how absolutely delicious this was! It was moist, and flavorful, the texture was fantastic, and the smell delightful spread throughout the house. I will be making this for years to come! Yay! I’m so glad you liked it, Gabi – and thanks for your feedback! I love how moist these nut-based cakes are. Will work on a pistachio version…..
Alessandra, wow, the almond cake is great!!! I baked it in a 10 inch spring form beginning at 350. (30 minutes ). I went to lower the temperature, but I followed your advice to check it and the cake was already done. I was concerned it would be dry because of baking so fast. I baked it on Sunday-we ate it at our second seder-Tuesday night. It was very moist. Thanks so much . Wow! This doesn’t even look like Pesach cake!